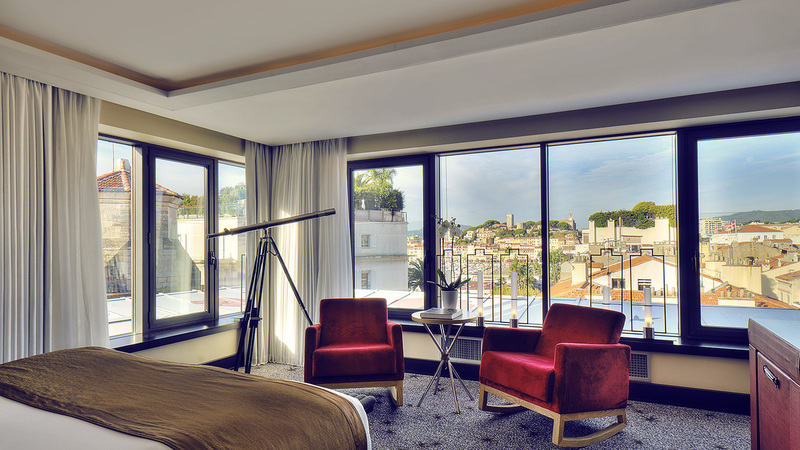 Dedicated to providing maximum comfort to its guests, this "secret" suite offers the best panoramic view over the city of Cannes. Located on the top floor of the hotel and accessible via a hidden staircase, the Top of Five or Secret Suite promises privacy and romantic moments, or moments of pure contemplation. This extraordinary luxury cocoon has two rooms, including a large open bedroom adjoining a stylish and very comfortable living space. The Top of Five balcony offers a sublime view over the city rooftops. Perfect for breakfasts and romantic dinners or savouring exceptional moments while the sun sets. 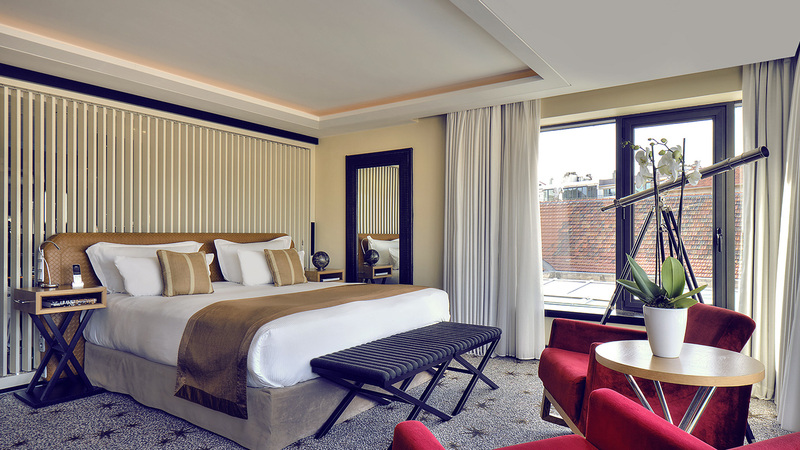 With wide picture windows, furniture and lighting designed for the hotel, flat screens, free minibar, iPad loan on request, and a Nespresso machine. 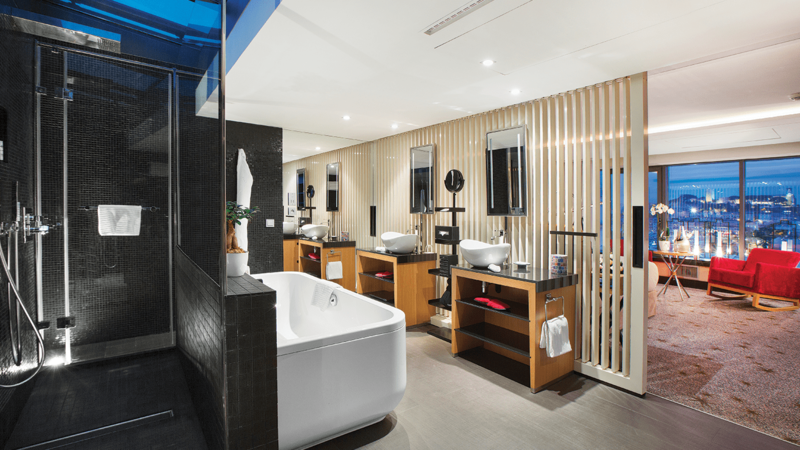 An ingenious interplay of blinds and shutters reveals a large bathroom with a big, relaxing bathtub, an Italian-style shower with a glass roof beneath the open sky, lit up by twinkling stars at night.